Earlier this year, before television and photo cameras, President Yoweri Museveni signed into law the 2009 anti-homosexuality bill. This law heavily imposes limits and penalties on homosexual activity in Uganda. Those engaged in it or who sexually influence or abuse minors in a homosexual way could serve jail terms. The law caused an immediate and expected uproar in the Western world. Several Western nations announced a cut back or freeze in aid to Uganda in response. The Ugandan public defiantly said it would not be intimidated by these sanctions. This face-off between Uganda and the West had been building since late 2009 when a Member of Parliament, David Bahati, tabled before the national assembly a bill to punish and outlaw homosexual activity in Uganda. His motive, he said, was to protect Ugandan traditional and religious values. 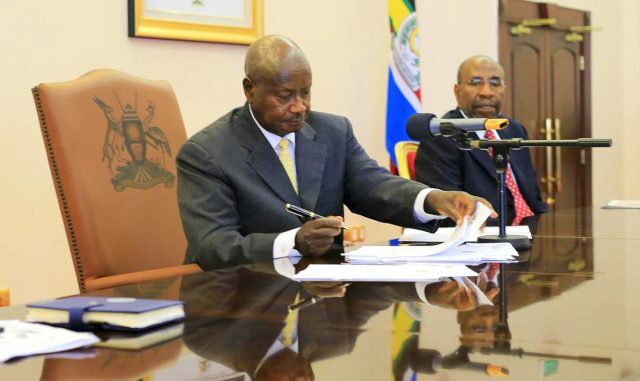 Pressure began to build on the government and President Museveni to reject the bill, including several phone calls being made by Western leaders to the president. In January 2010 at a meeting in Entebbe of the ruling NRM caucus, the issue of the Bahati bill came up for discussion. The NRM members overwhelmingly expressed support for the bill. The president said the bill had “foreign policy implications” and urged his party to handle it with caution. The reasons the bill had foreign policy implications in the four years since have become clear. Since the NRM came to power in 1986, it has depended heavily on Western economic, military and diplomatic support. Over the years, the government’s share of the national budget through tax collection has been increasing. Also, since about 1995, Chinese government investment in Uganda through infrastructure projects has been increasing. Even then, Western governments and institutions still make a crucial input into the health, judiciary and education, as well as some military training programmes. The most important area of Western aid is in the HIV prevention and AIDS treatment programmes, a literal lifeline to the country. A long-term cutback of Western aid would have serious consequences for Uganda. Several non-governmental organizations over the last few months have been reporting a reduction in financial support from their Western donors. The NGO industry employs a large number of Ugandan social scientists and workers. Because most NGO seminars and workshops are held in hotels in Kampala and other towns, a reduction in aid would have an impact on these hotels which, even in good times, are struggling with mostly empty rooms and low local purchasing power. In most countries around the world, including several American states, homosexuality it illegal and at least eleven countries including Algeria, Zimbabwe, Ethiopia, Morocco and Nigeria in Africa have also passed anti-homosexual laws in recent years. 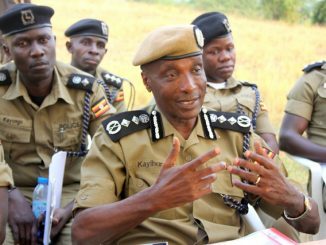 But it is Uganda that seems to have come under the most persistent condemnation from the West for laws that do not differ much from the other countries with similar laws. The question is: why the focus on Uganda? First, Uganda is an English-speaking country and member of the British Commonwealth. The global media is heavily dominated by the English-speaking Western countries. In that sense, it is not surprising that Uganda a country they understand easier and have close relations with can be more scrutinized than French-speaking or Middle East nations. But Nigeria, Zimbabwe and several others are also English-speaking. That brings in the second point: Uganda is small enough and dependent enough on Western aid to be bullied. After surviving severe western sanctions and condemnation through the 2000-2010 decade over its seizure of White-owned commercial farms, Zimbabwe is now immune to Western pressure. One more round of sanctions over anti-gay laws would not make a difference to the country. Nigeria, on the other hand, is among the world’s ten largest oil exporters and with the largest population in Africa and recently the largest economy in nominal terms in Africa, it is a country the West cannot afford to antagonize that much. That is the same reason Saudi Arabia and other Middle East countries with stringent anti-homosexuality laws are never even discussed in the Western media and governmental circles. With rising economic and political powers like Russia and China increasingly acting as direct competitors to the West, the post-Cold War Western dominance of the world stage has been reducing every passing year. In some sense, the over-reaction to Uganda’s anti-homosexuality law is the West’s effort to reassert itself, to use what clout and blunt force it still has, while it still has the time. It is like the bruised ego of a person used to winning and dominating, who suddenly finds his powers reduced and who then takes out his frustration on his children. These are the “foreign policy implications,” however, that Museveni foresaw and warned about in 2010. The issue of a homosexual law was always going to be a problem for the president. He is caught in between two forces he cannot ignore and which do not show any signs of reaching a position of understanding and compromise that would make his task easier. On one hand is a West that has long gone past its traditional Christian values and as it grows more liberal about social and religious values, is prepared to recognize behaviour that a generation or two ago was an abomination in Europe. The Western media, academia, corporate establishment and governments are also held hostage by a gay lobby that has surprised the world by the great influence it now holds in Western society. Even if some Western political leaders might privately hold conservative views on homosexuality, it is virtually political suicide today to be labeled homophobic or to not pay at least some lip service to gay rights. This pressure by the gay lobby now extends to Western foreign policy and this is where Uganda gets caught up in between. Uganda, on the other hand, is still a very traditional society as are most African, Middle East and Asian countries. In its own way, Ugandan political leaders are also hostage to a kind of “anti-gay lobby” that includes the churches, the Islamic faith and the general force of overwhelming public opinion. Gay rights are not a non-negotiable Western value and anti-gay sentiments are also a non-negotiable Ugandan value. President Museveni finds himself in the middle of this unbridgeable gap. 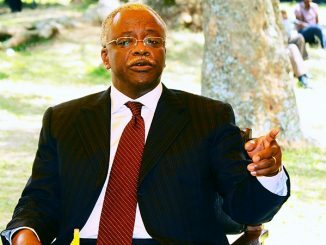 As a long-serving head of state, he is aware of geopolitics far beyond Uganda and where his country stands relative to the still-powerful Western nations. But as a politician, he also knows that certain national sentiments are so deeply held by such a huge majority, he would be doing himself no favours by going against them. To get out of this situation, he played for time by trying to postpone the signing of the bill for as long as possible. He contracted scientists, he said, to advice him on the science and technicality of the homosexuality question. He also weighed the national political mood. Finally in 2014, having decided that the immediate benefits outweighed the risks of endorsing the bill, he signed it into law. Ugandan public reaction was euphoric across the country and the political and religious spectrum. Thanksgiving prayers were called at the Kololo Independence Grounds. This was a highly popular political move. Then the aid cuts began to take effect. In the 2014/2015 national budget reflected this. Taxes were introduced to try and fill in the anticipated financial deficit that the reduction in Western aid would create. Taxes on mobile money transactions, Forex transactions, agricultural produce and implements and other areas that directly affect the common man, were announced in June by the Minister of Finance, Maria Kiwanuka. There was still a way for Museveni to sidestep the awkward situation this had created with his Western allies. The anti-homosexuality law had been passed rather hurriedly by parliament but without the necessarily quorum, or number of MPs in attendance, required to make it a law. While a number of journalists, lawyers and politicians like Fox Odoi, Morris Ogenga Latigo and Andrew Mwenda challenged the law in court over its infringement on the basic human rights of Ugandans, others focused on the question of a law passed without prerequisite parliamentary quorum. In early August, the Supreme Court threw out the law on the technicality that it had been passed without quorum. A few analysts have wondered how the Speaker of Parliament and a lawyer, Rebecca Kadaga, could have presided over the enactment of the law given such a glaring legal loophole. Speculation is that she has long-term political, perhaps presidential ambitions, and to help pass this undoubtedly popular law under her name and supervision would win her support when the time came in future. Whatever her motivation or error, the annulment of the law gave the government one more lease on life. 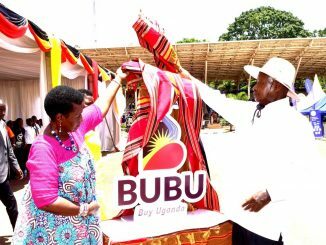 President Museveni could now show his Western allies and backers that the law had been struck off the books and so regain their favour and see a resumption of aid. But to his national constituency, this law could be struck down without him appearing to have gone against the public mood. Kadaga, either unwittingly or intentionally, had given the president some breathing space. The Western donors announced a lifting of the ban on aid, a relief no doubt to them too since aid is as much a financial benefit to Uganda as it is of moral, foreign policy and strategic benefit to them too. This, though, would last only for a brief week or two. Since the law had been declared null and void not because of its fundamental unfairness or threat to the human rights of some Ugandans but over a matter of procedure, it was not yet dead and done. A number of politicians like the Kampala MPs Latif Sebaggala and Nabila Sempala immediately announced they were going to embark on a campaign to secure the right number of signatures and therefore parliamentary quorum to return it to the floor of parliament. Given the national mood, it is obvious that this time the chambers of parliament will be filled to overflowing when the bill returns for its second hearing. Eventually it will become law, again. Once it becomes law this time, having gone through the right procedure, Uganda will return to the world news headlines once again and so will announcements from Western capitals of a re-imposition of aid cuts. Several lessons can be learnt from this saga over Uganda’s anti-homosexuality law. For the West, it is a reminder that democracy is a sometimes unpredictable phenomenon. It does not always produce desired results and at that point, even the most democratic and civil countries like Norway and Sweden resort to some form of dictatorship. Going the democratic principle that the majority holds a right over the minority, Uganda’s anti-homosexual leaning should be respected by the democratic West. But this leaning now clashes with current fundamental Western values and so the solution to this from the West is threats and force through aid cuts. The euphoria over the 2011 Arab Spring uprisings has since given way to the realization that democracy in the Arab world can lead, not to liberal Western-style liberal political and market rule but to the election of Islamist parties. Recent European Union elections also saw shocking victories for Far Right parties across the EU. The second lesson is that a people might be timid for most of the time but eventually there come issues that are fundamental to them and once the red line is crossed past those issues, the society stands firm. Uganda has demonstrated this through the anti-homosexual national attitude and pressure on its politicians to pass laws on it. Sanctions and economic threats can and do work, but only up to some point. One final perspective to all this is the contradictory character of Ugandans. On one hand they seem like timid people, afraid to face or challenge their government and political leaders, even when they misuse the people’s taxes. On the other is a willingness to suffer through aid cuts for the sake of a moral cause that unites the country. The contradiction is in a willingness by Ugandans to stand their ground over a moral matter but none of the same willingness to hold their leaders accountable with the same determinations in day-to-day issues that affect them much more than the strange behaviour of a tiny and mostly invisible minority.